Easter Sunday afforded the opportunity of holding two preaching services in Avalon. For this purpose the dilapidated commissary shack used for lodging during the construction of the dam was utilized. It is a unique place of worship. Very high planks nailed from wall to wall and very low boxes serve for seats. Two dozen broken window panes afford more ventilation than would be necessary did not the rusty stove, whose pipe projects through the window, smoke so atrociously that the preacher was compelled to stop from time to time during the sermon, and move to another part of the room to obtain fresh air, the meanwhile wiping a copious flow of smoke tears from his streaming eyes. Morning and night the room was crowded, the congregation having been summoned by the prolonged and vigorous ringing of a large dinner bell by the preacher. In fact, at night every inch of sitting space was taken, and twenty leaned outside against the open door, or stood beside the minister as he spoke. It is a happy inspiration to preach under such circumstances. One of the hearers had not attended divine service in two years, another had been inside a church but once in four years. An after-meeting of deep interest was held. In June of 1901 a movement to build a church at Avalon was initiated. William E. Spaugh, the pastor at the Mayodan Moravian Church, had on occasion preached at Avalon since its early beginnings. Because, the founders of The Avalon Mills had strong ties with the Moravian Church, it was no surprise the church at Avalon would be a Moravian church. The Avalon villagers pledged over $100.00 to help build the church.2 The people of Mayodan pledged about the same amount. Including donations from various sources the total grew to over $550.00,2 which was considered enough to build a Modest building that could be expanded upon if the need arose.2 Reverend Howard K. Rondthaler of Salem stated in an article, "There is every reason to believe that this community [Avalon] will stand by us in our work. The interest according to our services by many who heretofore were entirely unacquainted with the Moravian Church has been most encouraging. "2 He also added that an additional $150.002 would be needed for the church. Fig. 19. The Avalon Moravian Church 1906-1911. 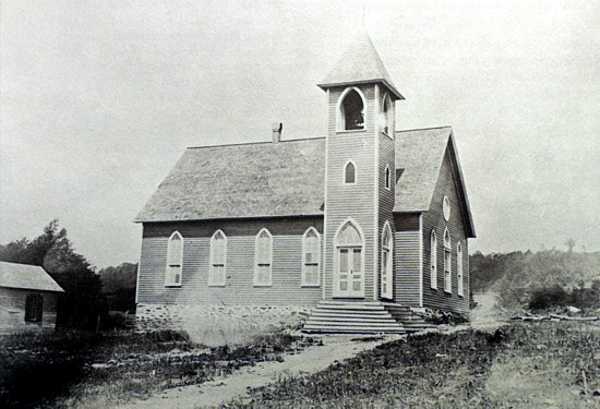 On Sunday, January 12, 1902 the Avalon Moravian Church held its first service.6 It was an introductory service given and arranged by Brother Rondthaler. Edgar Hege, superintendent of the Avalon Mill, gave a welcoming address. Brother P. Tesh spoke on how to help the minister, and Charles Smith talked about the advantages of having a resident pastor.6 Later that afternoon, at 3:30pm, a meeting was held to organize the Avalon Sunday school. Edgar Hege was placed in charge of the school and sixty-five people enrolled pledging to be regular attendants. Fig. 20. Sunday school and church members at the Avalon Moravian Church. 1. Rondthaler, Howard K. "The Church at Home: Avalon," The Wachovia Moravian (Salem, NC) April 1901. 2. Rondthaler, Howard K. "The Church at Home: Avalon," The Wachovia Moravian (Salem, NC) June 1901. 3. "Our Newest Church at Avalon," The Wachovia Moravian (Salem, NC) September 1901. 4. Rondthaler, Howard K. "The Church at Home: Avalon," The Wachovia Moravian (Salem, NC) October 1901. 5. Rondthaler, Howard K. "The Church at Home: Avalon," The Wachovia Moravian (Salem, NC) December 1901. 6. Rondthaler, Howard K. "The Church at Home: Mayodan and Avalon," The Wachovia Moravian (Salem, NC) January 1902. 7. Crouch, Charles D. "The Church at Home: Mayodan-Avalon," The Wachovia Moravian (Salem, NC) March 1902. 8. Crouch, Charles D. "The Church at Home: Mayodan-Avalon," The Wachovia Moravian (Salem, NC) May 1902. 9. "The Month in Wachovia: Avalon," The Wachovia Moravian (Winston-Salem, NC) April 1906. 10. Berkeley, Alfred R. "Establishing the Church in a Southern Mill Town," In The Spirit of Missions: An Illustrated Monthly Review of Christian Missions, vol. LXXIV (New York: Domestic and Foreign Missionary Society of the Protestant Episcopal Church, 1909),132-36. Fig 19 - Unknown, Avalon Moravian Church (1906-1911), Location, Avalon, NC, Image [from Avalon: A North Carolina Town of Joy and Tragedy (Chapel Hill, NC: Books, 1977), 63]. 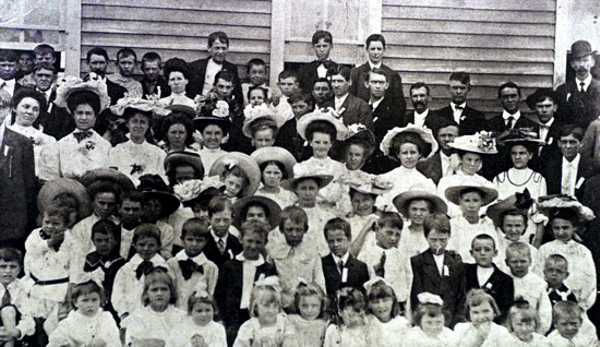 Fig 20 - Unknown, Sunday School, Avalon Moravian Church (1900-1911) Location, Avalon, NC, Image [from Avalon: A North Carolina Town of Joy and Tragedy (Chapel Hill, NC: Books, 1977), 65].